XBK-KABEL is a medium-sized German company with around 200 employees, creating top-quality products since 1926. We produce cables and wires of all kinds for regional and international use at our two sites in Rottweil. In order to live up to our own high standards as a reliable and flexible partner to trade and industry, we carry out our entire production process, from copper via plastic to the finished cable, using our own equipment. The company administration in Rottweil is restructured and extended. XBK-KABEL increases its production capacity still further. The logistics centre is extended to house production premises for halogen-free wires. The new logistics centre at the “Berner Feld” industrial estate is opened. XBK-KABEL opens a sales office in the UK. Under new directorship, XBK-KABEL’s capacities are modernised and extended, particularly for wire-drawing. Plastics processing is automated and daily capacity increased. A strategic reorganisation is required. Consequently, the production site in St. Georgen is sold. The Rottweil factory is taken over by the Wilms Group. Xaver Bechtold dies in May 1988, and the company drifted into troubled waters. Staff numbers across the two factories reach 500! The company’s own brass band is born, with several performances following. In St. Georgen, a further factory is opened, to house cable and connector production. The production of cables and wires stays in Rottweil. Production capacity is increased, thanks to the company’s own PVC granulation extrusion plant. Xaver Bechtold takes over the company premises of a weaving mill in Rottweil-Bühlingen and now starts operations as Xaver Bechtold KG. The production programme is extended to include manufactured connection cables. The company also invests in its own wire-drawing machinery to produce wires and braids. The Marshall Plan is taking effect and Germany becomes the land of the economic miracle. 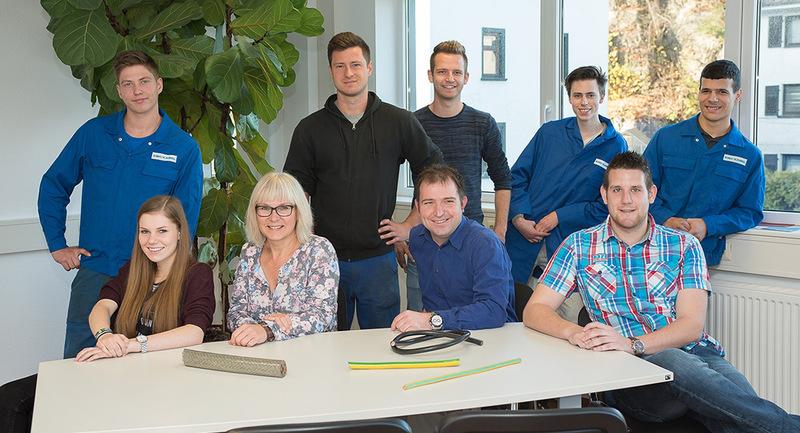 Xaver Bechtold goes with the times, investing and starting production of automotive cable, with a team of 14. Xaver Bechtold acquires larger business premises in Hölderstraße, Rottweil. Due to a legal requirement which makes the use of rear lights on bicycles compulsory, demand for manufactured bicycle cable takes off massively. Business starts up again after World War II. The production of bicycle tyres begins. At the same time, the production and sales of bicycles under the brand names of “REFAX” and “BECHTOLD” begins. Xaver Bechtold develops a bicycle cable which saves material and registers a patent for his invention. Shortly afterwards, he starts to manufacture lighting cables for bicycles. To start with, most of the work is done in people’s living rooms, with up to 40 homeworkers employed. Company founder Xaver Bechtold sets up his own minor mechanical repairs and bicycle repairs business in Rottweil.